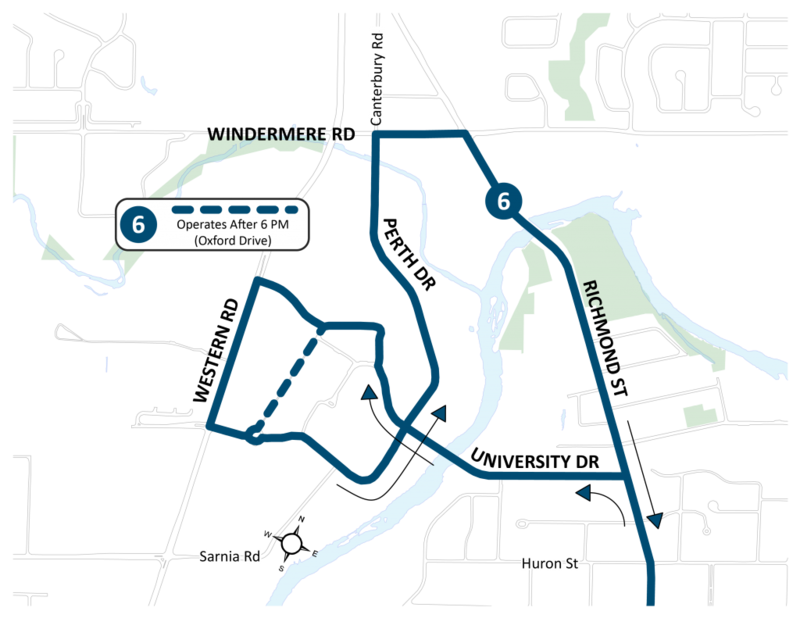 The University routing is proposed to be modified to operate on Richmond, Windermere, Perth and University Drive. 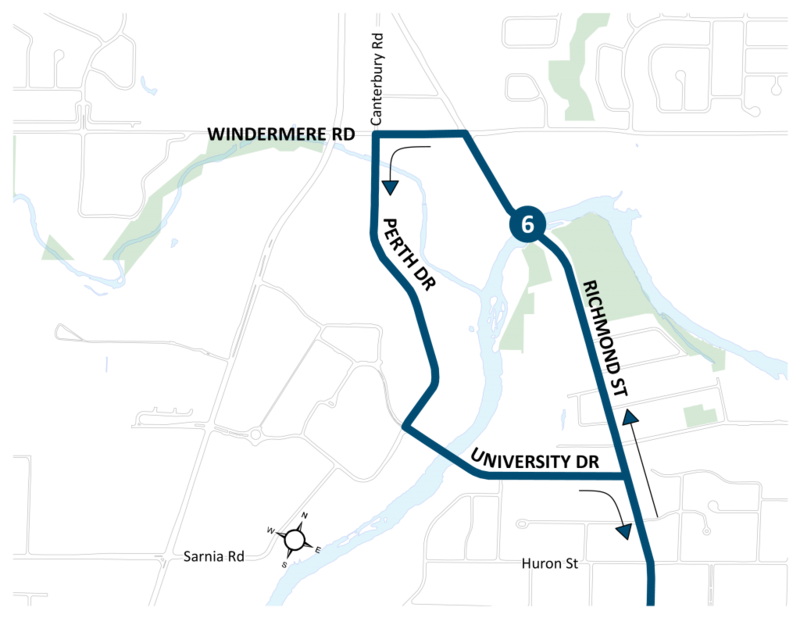 The current routing of Route 6 at the University loops back on itself, duplicating service. The new routing would also provide northbound service on Richmond north of University Drive. Additionally, Route 6 would help reduce overcrowding on Route 13 leaving Western University southbound from Talbot College/ Delaware Hall. The Natural Sciences Centre and Alumni Hall would not be serviced. After 7pm, Route 6 is interlined with Route 9C. The interline is confusing for passengers and is proposed to be eliminated. Finally, Route 6 has low productivity at specific times, especially in the Spring/ Summer periods, and is proposed to have frequency reductions made at these times to better match service with demand, see frequency impacts below. Route 6 passengers would no longer have direct service to Natural Science or Alumni Hall; however, Route 106 provides this service while operating much more frequently (every 10 minutes vs every 30). Route 106’s frequency is also proposed to increase.